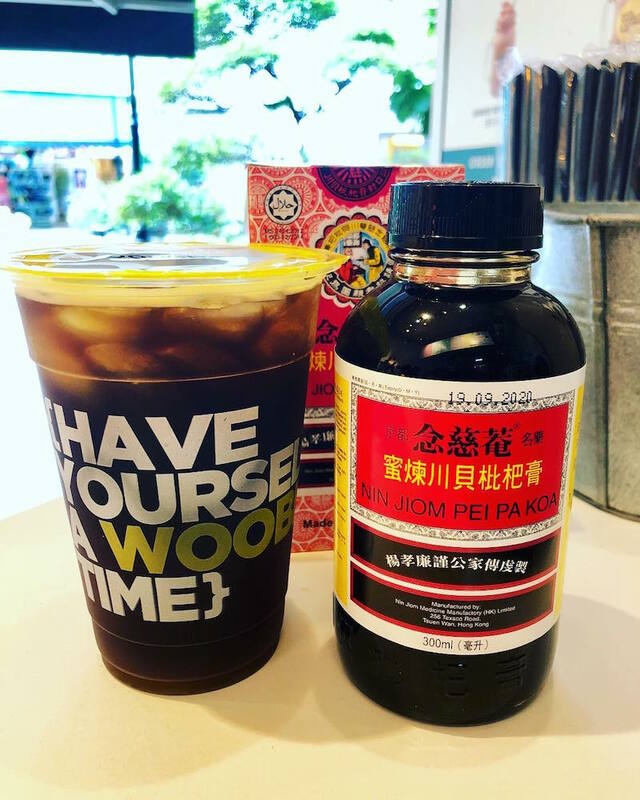 Pei pa koa, the traditional Chinese herbal remedy typically consumed for cough or sore throat relief, has had its turn in the spotlight this year. Even though the common Nin Jiom brand has been around since, well, forever, and can be found at practically any supermarket or convenience store in Singapore, more and more it's appearing in drinks like bubble teas and cocktails. 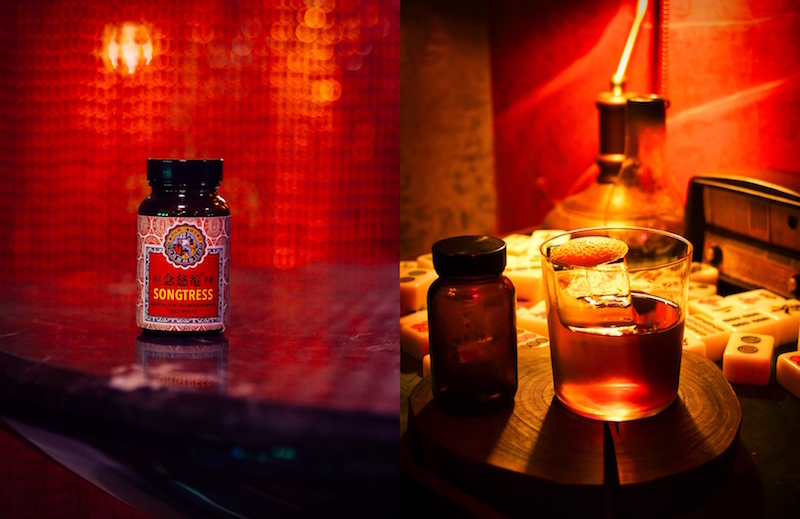 The glamorous backroom bar, which welcomes you into its mysterious abode with tinkling jazz versions of Chinese classics, doesn't do things half-heartedly. It's totally sold on its concept of being Mona's secret hideout, so it's no surprise that it also goes the extra mile to present its pei pa koa creation. Done up as a rendition of an Old Fashioned, the cocktail is served in the familiar bottle, which is branded as 'Songstress' ($22). You get to pour it out yourself and take the time to savour the mix of Bulleit Rye whiskey and angostura bitters, which slides down your throat with sweet herbal notes and a minty aftertaste. L2, 25 Boon Tat St, 6221-3665. Wed-Sat 6pm-12:45am. At this sprightly, multi-coloured casual hangout in Serangoon, you'll find Asian-esque tapas dishes that you can wash down with alcoholic concoctions containing splashes of Milo, condensed milk, ginseng-infused gin and, of course, pei pa koa. 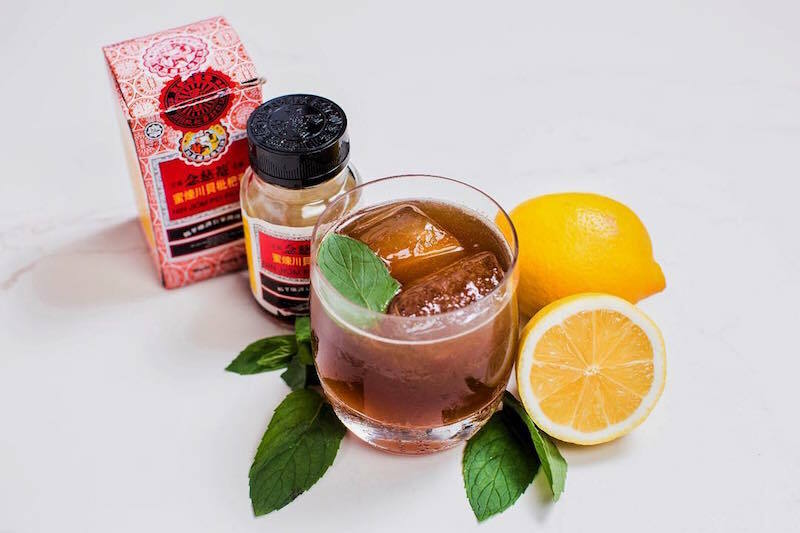 In a nod to its namesake ingredient, the Nin Jiom ($13) is a blend of bourbon, lemon, honey, and mint. Surprisingly light and rather refreshing, with a bit of a punch, it's an easy drink to swig - no matter if you're nursing a sore throat or not. 9 Teck Chye Terrace, 6242-0021. Mon-Thurs 5pm-1am, Fri-Sun noon-1am. Milk tea, cough syrup, and tapioca pearls - bet you never thought you'd live to see the day someone came up with this brew. But the bubble tea brand and its herbal mint milk tea ($4.10-$5.80) have recently been making the rounds online (even though the beverage has been on the menu for a while now). And it seems to be mostly positively received, with comparisons made to peppermint milk tea. You can also toss in complimentary toppings like pearls, grass jelly, pudding, or nata de coco for something to munch on. Alternatively, those lactose-intolerant can order the drink without milk for a more intense pei pa koa taste (with no added sugar). Now you don't have to let something as insignificant as a cough stop you from inhaling your daily dose of bubble tea. Three outlets, including #02-26 Chinatown Point, 133 New Bridge Rd, 6222-6687. Mon-Fri 10:30am-8:30pm, Sat-Sun 10:30am-7:30pm.